Welcome to the official attendee housing site for the Biotechnology World Convention 2016 which will be held in the beautiful and exciting city Sao Paulo, Brazil. Vibrant Sao Paulo is among the world's most populous cities. Brazil's financial center, it has abundant cultural institutions and a rich architectural tradition. With over 10 million inhabitants, it is the world's third largest city and the largest in South America. Sao Paulo's attraction lies in its people and its vibrant cultures. Brazil's most modern, cosmopolitan city has much to offer in addition to its outstanding cuisines. Its museums are among the finest in South America. The name of the city honors Saint Paul of Tarsus. According to a report from 2011, São Paulo was expected to have the third highest economic growth in the world between 2011 and 2025, after London and Mexico City. São Paulo is considered the "financial capital of Brazil". Brazil is hosting the Olympic games (Rio- 2016) in Rio de aneroid state from August 5-21, 2016. 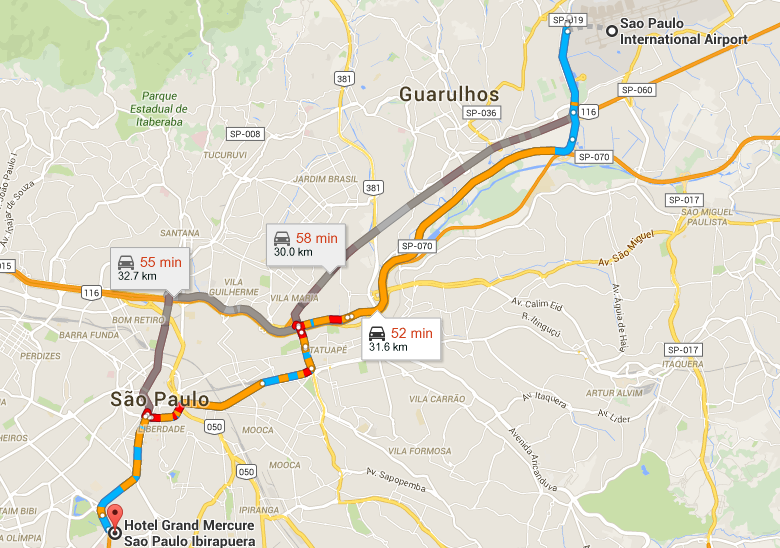 São Paulo ranks first among the cities that host international events in Americas and the 12th in the world. The Rue Oscar Frere was named one of the eight most luxurious streets in the world, which leads many to say that "there is always a program to do in Sao Paulo." São Paulo Museum of Art. Art gallery in the state of sao paulo.